Regulation (EC) No 850/98 lays down technical conservation measures applying to the taking and landing of fishery resources in maritime waters under the sovereignty or jurisdiction of the Member States. It provides, inter alia, that detailed rules are to be adopted for the assessment of twine thickness and the determination of mesh size of fishing nets. Commission Regulation (EC) No 129/2003 of 24 January 2003 laying down detailed rules for determining the mesh size and thickness of twine of fishing nets (2) contains certain technical rules concerning the use of gauges for determining the mesh size and twine thickness of fishing nets. 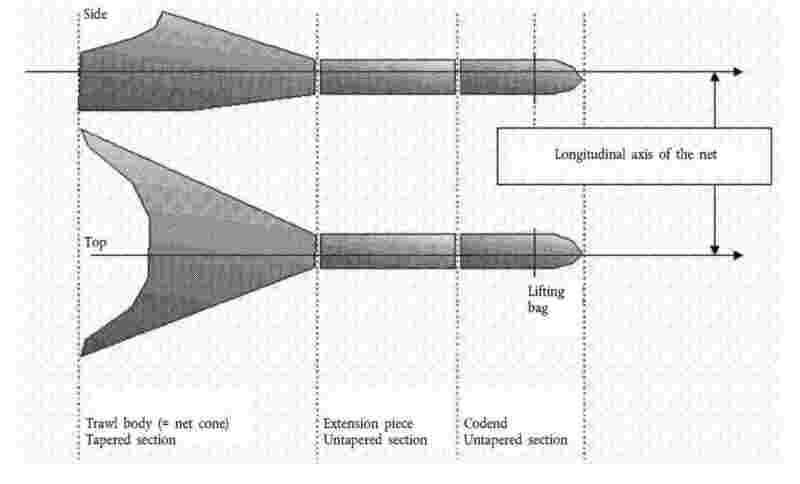 However, the current use of those gauges by fishery inspectors has resulted in certain cases in disputes between fishery inspectors and fishermen as regards the methods and the results of measuring the meshes depending on how those instruments were used. In addition, recent technical progresses relating to the development of instruments for determining the mesh seize of fishing nets have increased their accuracy. It is appropriate to provide for the use of those improved instruments by Community and national fishery inspectors. Accordingly, the use of the new gauge should be mandatory for Community inspectors and the national fishery inspectors of the Member States and marked as ‘EC gauge’. 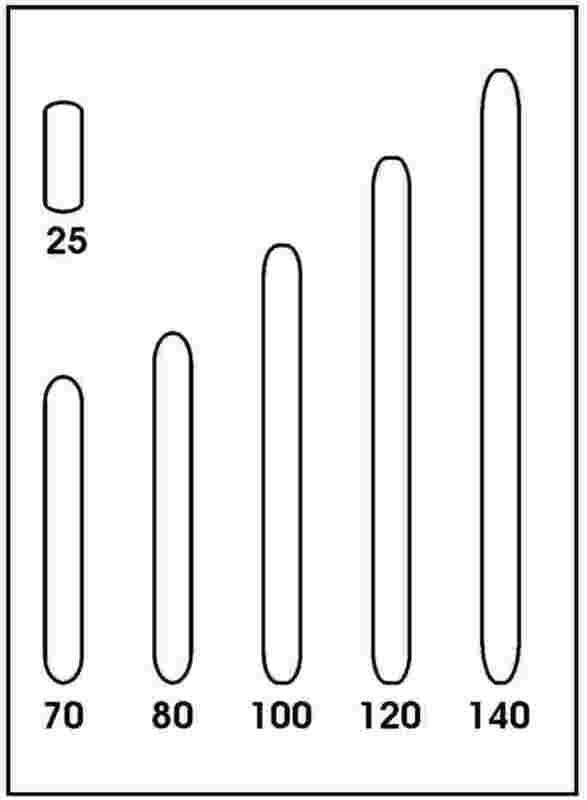 For the purposes of the control procedure it is necessary to specify the types of gauge to be used, how they are to be used, how the meshes to be measured are to be chosen, the method by which each of them is to be measured, how the mesh size of the net is to be calculated, the procedure for the selection of twines of meshes for the assessment of thickness of twine, and to describe the sequence of the inspection procedure. Where the master of the fishing vessel disputes the result of a measurement in the course of an inspection, provision should be made for a further and final measurement. In the interests of clarity of Community legislation, Regulation (EC) No 129/2003 should be repealed and replaced by this Regulation. This Regulation lays down detailed rules for the implementation of Regulation (EC) No 850/98 as regards the determination of the mesh size and the assessment of the twine thickness of fishing nets by Community and national inspectors. 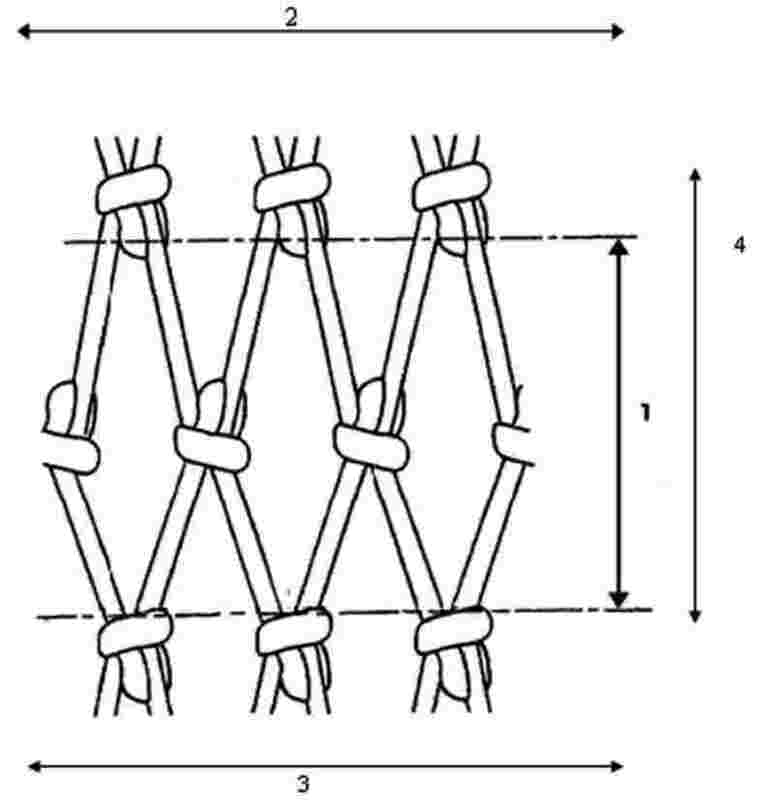 ‘T90 mesh’ means a diamond mesh from knotted netting, as shown in figure 1 of Annex II, mounted so that the T-direction of the netting is parallel to the longitudinal axis of the net. 1. Community and national inspectors shall use the mesh gauge and twine thickness gauges which comply with the provisions of this Regulation for the determination of the mesh size and the twine thickness of fishing nets when conducting fishery inspections. 2. The technical specifications applying to the mesh gauge are set out in Annex III. 3. The technical specifications applying to twine thickness gauges are set out in Annex IV. 4. The mesh gauge and twine thickness gauges referred to in paragraph 1 shall be marked ‘EC gauge’ and certified by the manufacturer as complying with the technical specification referred in paragraphs 2 and 3 respectively. 5. The mesh gauge and twine thickness gauges sold or distributed for use by entities or persons other than national fisheries authorities shall not be marked ‘EC gauge’. The calibrated test weights and calibrated test measuring plate provided for in figure 1 of Annex V shall be certified by the competent national authorities and marked ‘EC’. hanging the calibrated test weights on the fixed jaw, as provided for in figure 2 of Annex V.
for T90 meshes, perpendicular to the direction of the longitudinal axis of the net. 2. Meshes less than three meshes from the selvedge, lacings, ropes or cod line shall not be measured. That distance shall be measured perpendicular to the lacings, ropes or cod line with the net stretched in the direction of that measurement. Meshes which are broken or have been repaired or have attachments to the net fixed at that mesh shall not be measured. 3. By way of derogation from paragraph 1, the meshes to be measured need not to be consecutive if the application of paragraph 2 prevents it. 1. The inspector shall select 20 meshes from the fishing net. In the case of different mesh sizes in the fishing net, the meshes shall be selected from the part of the fishing net having the smallest meshes. meshes that have been broken or have been repaired. operated in accordance with Annex VII. knotless netting when the N-direction cannot be determined, the longest axis of the mesh shall be measured. 1. When measuring a square mesh panel, the netting shall be stretched first in one diagonal direction and then in the other diagonal direction of the mesh, as shown in Annex VIII. 2. The procedure laid down in Annex VI shall apply to the measurement of each diagonal direction of the square mesh. Meshes shall be measured only when wet and unfrozen. 1. The size of each mesh shall be the distance between the outside edges of the jaws of the gauge at the point where the movable jaw is stopped. 2. Where there is a difference in measurement between the diagonals of an individual square mesh, then the larger diagonal shall be used. The mesh size of the net shall be determined as the mean value, displayed by the gauge, of the series of 20 selected meshes. 1. If the master of a fishing vessel disputes the result of the determination of the mesh size carried out in accordance with Article 13, 20 meshes shall be selected and measured in another part of the fishing net in accordance with Articles 6 to 12. 2. The mesh size shall then be redetermined as the mean value, displayed by the gauge, of all 40 meshes measured. The displayed result of the gauge shall be final. 1. The inspector shall select meshes from any part of the fishing net which is subject to a maximum permitted twine thickness. 2. Twines within a mesh that are broken or have been repaired shall not be selected. in the case of double twine netting, each strand of twine on opposite sides of five meshes shall be selected. 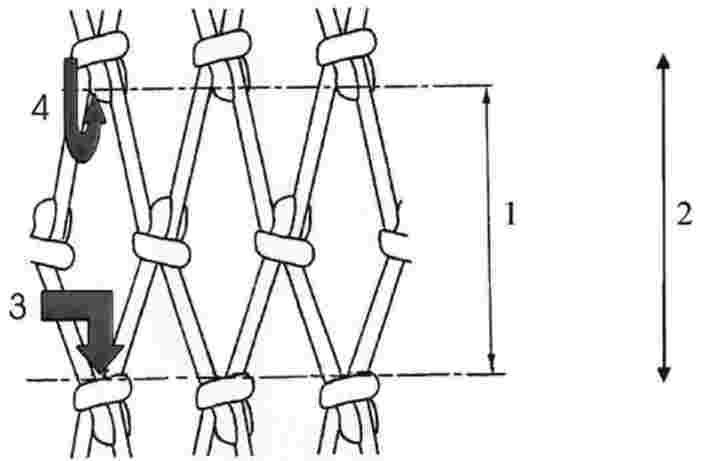 in the case of double twine netting, each strand of twine on only one side of 10 meshes shall be assessed, with the same side being selected in each mesh. A gauge with a circular hole with a diameter equal to the maximum twine thickness permitted for the part of the net considered shall be used by the inspector. Twines shall be assessed when unfrozen. 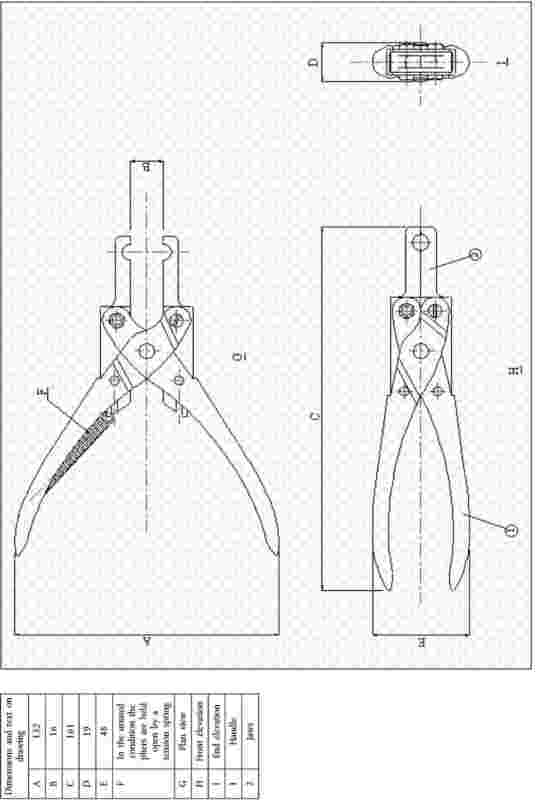 When the thickness of the twine prevents the closure of the jaws of the gauge or the twine does not pass easily through the hole when the jaws are closed, the assessment of the thickness of a twine shall be noted by the inspector as a negative assessment (–). 1. If more than five negative assessments (–) of the 20 twines selected are noted in accordance with Article 20, the inspector shall again select and assess a further 20 twines in accordance with Articles 15 to 20. 2. If more than 10 negative assessments (–) of the total 40 twines selected are found, the twine thickness shall be determined as exceeding the maximum twine thickness permitted for that part of the fishing net. 1. If the master of the vessel disputes the result of the assessment of the twine thickness carried out in accordance with Article 21, the provisions of paragraph 2 of this Article shall apply. 2. The inspector shall again select and assess 20 different twines in the same part of the fishing net. If more than five negative assessments (–) of the total 20 twines selected are found, the twine thickness shall be determined as exceeding the maximum twine thickness permitted for that part of the fishing net. The result of that assessment shall be final. 1. Regulation (EC) No 129/2003 is repealed. 2. Reference to the provisions of the Regulation (EC) No 129/2003 shall be construed as reference to the present Regulation and read in accordance with the correlation table in Annex IX. 1. For a transitional period until 1 September 2009 a Member State may continue to apply, in the waters under its sovereignty or jurisdiction the methods for determining the mesh size and assessing the thickness of twine of fishing nets which are in conformity with Regulation (EC) No 129/2003. 2. If a Member State intends to apply in the waters under its sovereignty or jurisdiction the methods for determining the mesh size and assessing the twine thickness which are in conformity with Regulation (EC) No 129/2003 for a transitional period until 1 September 2009, it shall immediately inform the Commission thereof and publish this information on its official website. Done at Brussels, 10 June 2008. (1) OJ L 125, 27.4.1998, p. 1. Regulation as last amended by Regulation (EC) No 2166/2005 (OJ L 345, 28.12.2005, p. 5). (2) OJ L 22, 25.1.2003, p. 5. 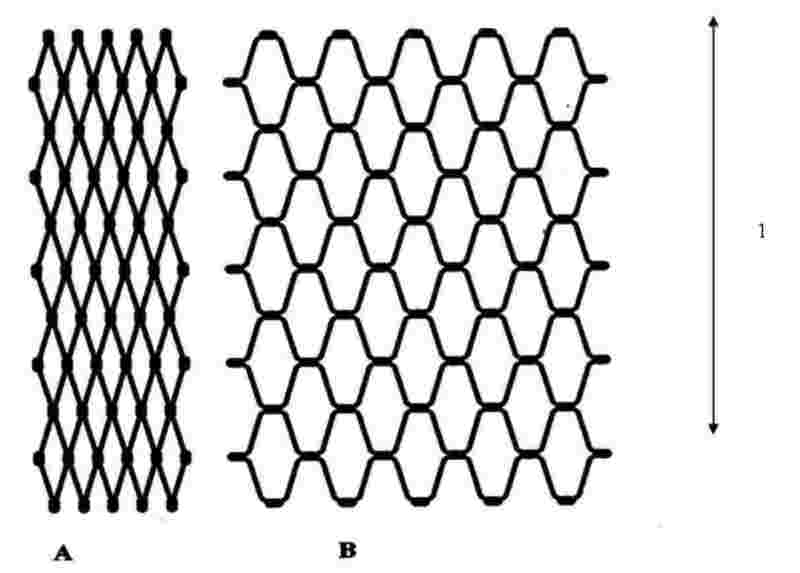 The direction of run of the netting twine in a standard diamond knotted net (A) and in a net turned 90° (B) is shown below. save the data of all measurements made. Some netting creeps under load. The gauge must respond to this condition by reapplying the fixed force, requiring an algorithm in the controlling software, as described in the Appendix. (1) Internal protection (IP) codes are specified in the international standard of the International Electrotechnical Commission (IEC) 60529. (2) Speed of the movable jaw during the stretching of the mesh. The unloaded speed of the movable jaw can be higher. if the force drops below 80 % of the pre-set measurement force, extend the movable jaw into the mesh until the measurement force is reached once more. (1) Speed of the movable jaw during the stretching of the mesh. The unloaded speed of the movable jaw can be higher. be easy to insert between double twine. 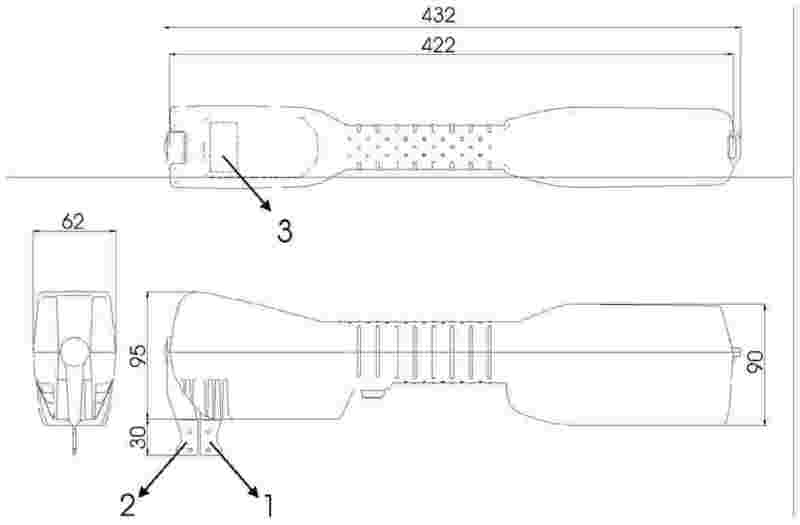 After the gauge has been inserted into position, it shall be capable of easy operation with one hand. The verification of length measurement shall be performed by inserting the jaws of the gauge to be used during the inspection, into slots of different lengths in the calibrated rigid test plate. This can be done at any time. 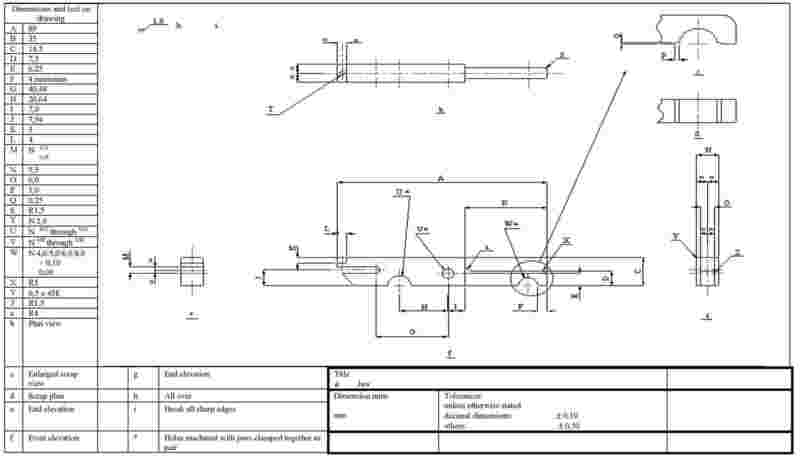 The verification of force measurement shall be performed by hanging calibrated weights on the fixed jaw containing the load cell, with the gauge held vertical and secure. The weights shall have the following values: 10, 20, 50 and 125 N. The weights can only be used under stable conditions. verify the jaw type setting. The default setting is ‘Normal’. If small or large jaws are used, the inspector shall enter the menu and change the jaw type setting accordingly. When the activities set out in point 1 are completed the gauge is then ready to undertake mesh measurements.